Foreground: Bench (Endless X) Duct tape on National Geographics, 2007. approx. size: 48" x 55" x 7". Background: Stacked Sets, 2006. 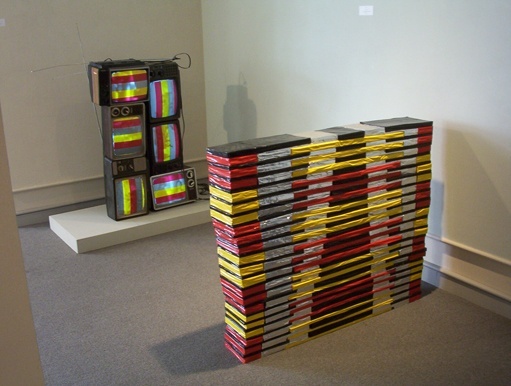 Duct tape on operating television sets, 40" x 34" x 24".